3. Add the oil to a large pan, and when hot add the onion. Fry until translucent, add the garlic for about one minute. 3. Add the pumpkin, bell pepper and chilli pepper, followed by the coconut milk, vegetable broth and curry paste. 4. Let it simmer for about 15-20 minutes, or until pumpkin is tender. 7. 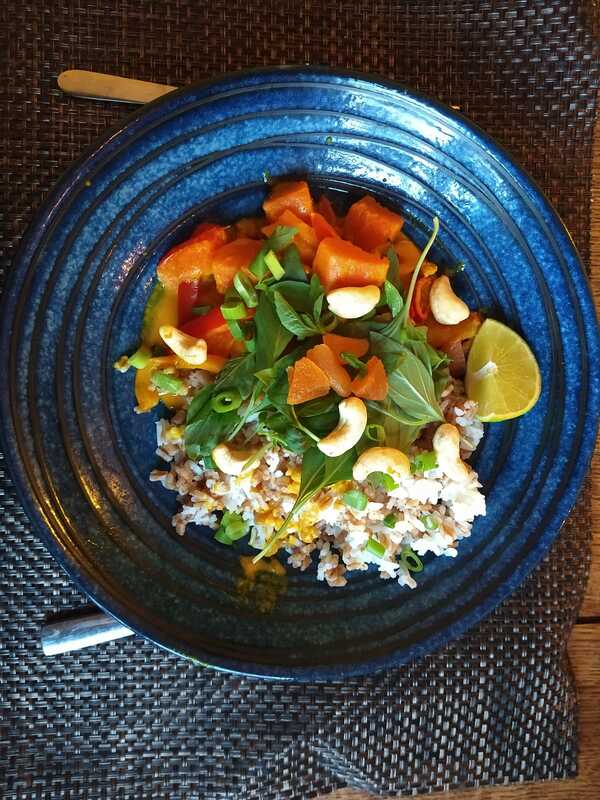 Serve with the rice and put some spring onion and cashews on top for serving.